Many of us have problems keeping our faces perfect. I know my biggest crime is sleeping in my makeup. While I know it is the worst thing you could ever do, I still do it! However, I believe it is better to know why you’re breaking out, than be totally in the dark and helpless against breakouts. So I have compiled the most vital info to help you keep your skin as flawless as possible. The first and most important way to get rid of pimples is to clean your face twice a day. You want to wash your face once in the morning and once in the evening with a gentle, oil- and fragrance-free cleanser; preferably a non-detergent one labeled pH balanced. Don’t scrub – irritated skin swells around the pores, which can cause breakouts. Do not wash your face more than twice a day because it can increase your oil production and can also irritate sensitive skin. Also, never sleep in makeup because this will block your pores, thus causing break outs. If your skin is oily, use soap with benzoyl peroxide or salicylic acid both of these contain drying properties which will combat oily skin. Apply a topical acne treatment containing benzoyl peroxide, glycolic acid, or salicylic acid over your entire face. Don’t just spot-treat acne; put the product on all acne-prone areas. That can include your entire face (avoid the lips and eyes), back, and chest.At night, use a drying spot-treatment product and dab oil-free moisturizer on dry areas. In the morning, apply an oil-free sunscreen all over your face. To cover blemishes, apply a concealer that is the same color as your skin tone. To do this use a small brush and dab on the problem area. Use you finger to wipe off any excess concealer around the pimple. If it looks goopy or cakey gently wipe off and start over. Next, apply a light powder that matches your skin tone. If you have oily skin, use a clay mask as often as every three days to absorb excess oil. To temporarily reduce redness and swelling dab on a drop of drugstore cortisone cream, Preparation H, or Vasocon-A eye drops. Don’t pick, press, rub, scratch, or bother your pimples in any way. If you do, you risk spreading the bacteria and increasing the chances of scarring. Keep yourself hydrated. Drink eight or more glasses of water a day. This will help your body eliminate toxins. Anyone will tell you that the small details are of the most importance when planning a wedding. It is those small details that make things stand out and put the wow factor into a wedding. The wedding invitations are not different. Everyone thinks about the details of the invitation but many forget about one of the first things people see when they open that mail box. The stamp! Well know you can even personalize your stamps. Stamps.com allows you to upload your own image on a stamp and even gives to step by step instructions of figuring out what stamp you will need to purchase. This is a great way to add a little touch that will be in your guests memorials for a long time! Okay now I have heard it all! Freeze dried rose petals, I would have never even thought about that. Even though it is a different concept, don’t shut it down because it is a really great idea. 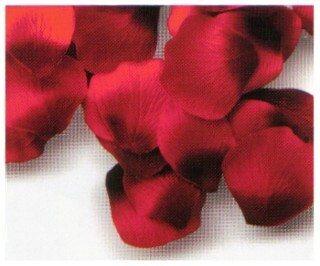 For one freeze dried rose petals are less likely to stain, so they are perfect for the flower girl to toss. They are also natural and biodegradable so they make a beautiful option for the after wedding toss, instead of bubbles or bird seed. Not to mention there is very little clean up. The best part, however, is they are a lot cheaper than regular rose petals and would be a great way to cut cost but not the extravagance in your wedding. There are over twenty styles of roses to choose from.Check it out!